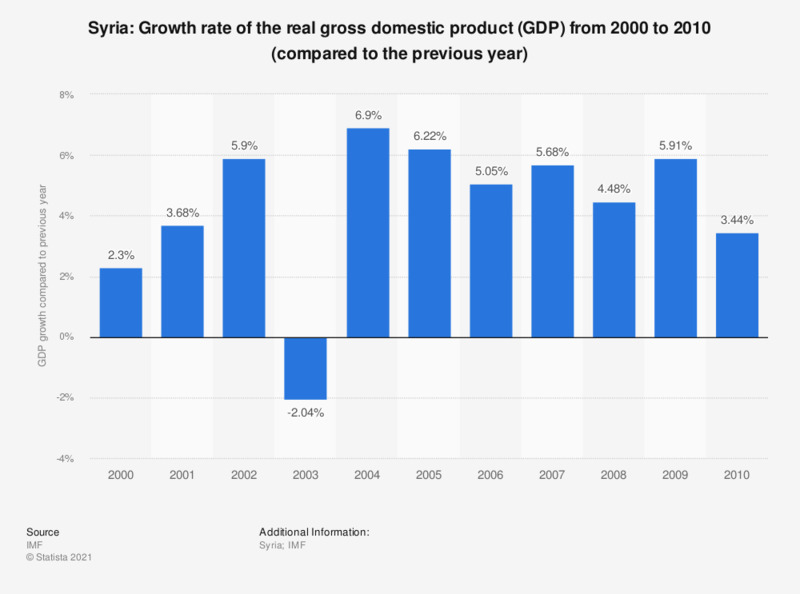 The statistic shows the growth in real GDP in Syria from between 2000 to 2010. In 2010, Syria's real gross domestic product grew by around 3.44 percent compared to the previous year. Do you support or oppose refusing entry to refugees from Syria wanting to enter the UK in response to the recent events in Paris? Syrians: Ideally, if given the opportunity, would you like to move permanently to another country, or would you prefer living in this country?